Dump your junk by depending on our skilled team for comprehensive junk removal. 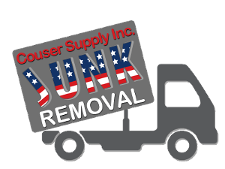 Couser Hauling removes bulk trash, yard debris, and clutter for residential and commercial customers in Columbia, Maryland. We take away that stuff that’s collecting dust in your attic or creating a mountain in your yard. Make room for something better by letting us haul your junk away. You’ve got the junk, and we’ve got the trucks. Simply schedule a time for pickup, and we’ll be at your place to remove the clutter and debris from your property. At the same time, you don’t need to put your junk by the road. Whether it’s in the backyard, on the curb, or in your building, we’ll remove it for you. Free estimates, upfront pricing, and prompt services: What more can you ask for? Our professional team is also courteous, experienced, and respectful of you and your property. Because we have provided junk removal for many years, we have the right tools and the right techniques to remove your junk in and effective and safe way. When you call us to request services, you’ll speak to a live person and not a machine. At the same time, we work around your schedule. That means you do not have to wait until next week for junk removal. In fact, if needed, we provide same­-day services. In addition, we offer demolition services, vehicle haul-away services, and de-cluttering services. 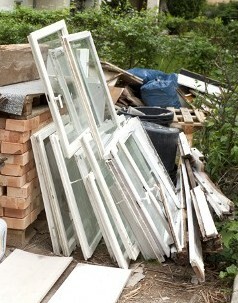 Contact us for same-day junk removal when you don’t want to wait a week for city trash pickup. We proudly serve residential and commercial customers in Columbia, Maryland.